R.I.P. Shows : STOP CANCELLING SCI-FI SHOWS FOX! Dark Angel, Firefly, Dollhouse, Terminator the Sarah Connor Chronicle, Alcatraz, Terranova and now Almost Human. Every year I mourn the death of some of the best sci-fi shows to the hands of Fox’s evil programmers and every year I just see that list grow! The only survivor so far has been Fringe which lasted 5 miraculous [and awesome] seasons. Almost Human was one of my favorite new shows this years and its cancellation was deeply painful for me. My only question is: If Fox is not willing to give niche sci-fi shows a chance to grow… why keep commissioning them!? I am also a little sad about losing Rake, which was growing on me [and I do love Greg Kinnear], and Enlisted, which I thought had the potential to embrace the quirkiness and become a good comedy. On the other hand, I love David Boreanaz and think Bones is a very enjoyable show, but I think is time for them to go… I really want to see something new on Fox! At least they are not making Bones: LA, Bones: NY and Bones: Space odyssey. You are probably laughing… but you know CBS would totally do it. My Fox pick last year was: Almost Human. And it was absolutely my favourite show on Fox and one of my favorite new shows overall. Fringe wasn’t at its prime until season 2 or 3. Remember, we didn’t even find out about “the other side” until the finale of S1 and that was the coolest part of Fringe [who doesn’t love a good zeppelin, right?]. Almost Human was just beginning. So many potential stories we will never get to see. Forgive me while I go cry my geek eyes out for a little while. I am not sure what is going on with FOX yet, but apparently they are going to air quite a few short series (10 episodes) and I am not sure if they are just miniseries or of they plan to renew them for a second series. Knowing how the American TV market works they will probably renew anything that has good enough ratings. Gracepoint looks really great, but so did the UK original Broadchurch. I never understood why Americans have to remake shows instead of just airing the originals. Paying a licence fee has got to be cheaper than making a show again! I am sure there is a reason and studies about this, but I’d love to know the answer. In any case Gracepoint looks good. Two funny things about this remake 1) The Americans actually cast the original British actor. UK’s big star David Tennant [better known for playing “The Doctor”] 2) They did not cast the original British actress. They replaced her with Anna Gunn (Breaking Bad). Broadchurch’s leading lady, Olivia Colman, just won a BAFTA for best actress [and gave the loveliest acceptance speech]. I haven’t seen Broadchurch, but I plan to watch it this summer and I see a “Who did it Better?” post in my future. I was torn between Gotham and Wayward Pines, which looks like a darker version of Twin Peaks. In the end I went with Gotham, because I am a geek and I am still confused about this whole “10 part event” thing. Anyway, Gotham… I could be SO WRONG about this one. It could very easily be awful, but… I am excited about it. I love Batman stories and the whole film noir vibe it has going on. I also love Benjamin McKenzie… and I know he may come out as a little boring and too intense… but yeah, that tortured thing totally does it for me. The show is produced by Bruno Heller who has worked on The Mentalist and Rome. If you think about it… if he could combine both styles, Gotham could be a really neat show. I am still pissed about Almost Human. It was so good and I agree, it has lots of potential for future storylines. Why does FOX even order sci-fi shows? We all know they will cancel it eventually. Gracepoint I will definitely watch but I'll have to first watch Broadchurch to compare and contrast. David Tennant's American accent really through me cause I'm so used to his Brit one, but it was good nonetheless. I will probably watch anything with Ben McKenzie (I need to still get around to watching Southland) but afte rewatching the OC a couple years ago, I realised he was one of the highlights of that show (second to Sandy Cohen of course ;)) and I completely trust Bruno Heller even after the soft reboot of the Mentalist this year, it was still a good watch. I'm torn re Hieroglyph. I will watch Max in anything cause he has a fan for live in me, and boy does he look really good in the trailer, but I am confused as to the premise of the show. We shall see when the fall season arrives. And I have to agree w/everything said about everything. About David Tennant... everyone is very confused with the accent... I still think they should have come up with some crappy reason to make him British.. haha kinda what is happening to me with Martin Freeman on Fargo... for some reason I find it upsetting. I absolutely love Ben McKenzie (I've only seen a few of Southland myself, would love to watch it all some time), but some people find him too serious apparently. I don't mind... Bruno Heller is a solid show-runner so I am hopeful too. I watched Broadchurch on BBC America. It was awesome!!!! They are doing a second series, too. I probably won't watch the american remake though. Since I already know the outcome, it won't be surprising to me/ or shocking. I'm actually surprised Tennant "reprised" his role, since he is so busy in the UK, but maybe he did it just to get some american exposure. And I too was saddened by the cancellation of Almost Human. It was the only show I watched on FOX. 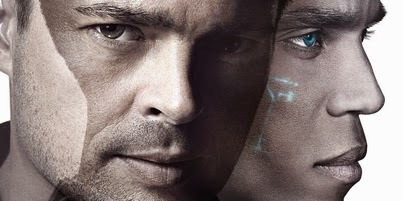 I love Karl Urban and Michael Ealy! The appeal of Bones was lost to me after the Bones and Booth hook-up. I wanted them to get together, but the way they did it, sucked in my opinopn, but then again, they probably did it that way because Emily was actually prego, so they just wrote it in. I just started watching Broadchurch & thought the 1st episode was great! I've heard that the American show will have a different ending, so I don't know if that's a good or bad thing... maybe good so ppl can be surprised? IDK. I am also very surprised DT accepted to do the American version... the fact that he did makes me thing maaaaaybe the adaptation will actually be good... but IDK, mb he just wanted some exposure as you said.